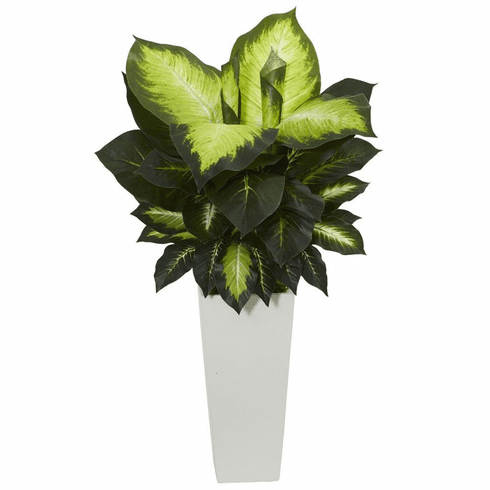 A central gold coloring blends seamlessly into green to create this stunning golden dieffenbachia artificial plant. With leaves that are tightly clustered together, it's a perfect ornament to bring depth into any room. A white tower planter is included with green moss. Size: Height: 34 In., Width: 17 In., Depth: 17 In.